When planning for sustainable landscape and the built environment it requires a complete change in the thinking and culture of the organization and all stakeholders. Permergy facilitates this process through a series of workshops that help to reinvent the way we look at things from an ecological perspective. This series of modules moves corporate personnel through the requirements needed to achieve sustainability in their use of land and buildings. It begins with understanding core principles, analyzing the existing grounds and structures, making a Master Plan and finally engaging in the implementation process (construction drawings, budgets, timeline, implementation). This process results in money saved due to the creation of efficiencies in land use and energy use. This workshop jump-starts your organization’s sustainability program. If you’ve been thinking about planning and implementing sustainable strategies to improve your operations, market reputation, employee relations – or any other business function – this workshop lays the foundation for an integrated, whole-systems approach that will energize your employees and foster a spirit of team-building and innovation. The workshop focuses on developing a clear vision, an understanding of core principles, and a set of practical planning tools. Once your organization is off to a good start, with an understanding of a whole-systems permaculture approach that is unique to your business, this workshop will include a detailed assessment of corporate land and structures and makes specific recommendations on how to improve sustainability. Begins with an intensive design charrette with all stakeholders involved in the project. Subsequently, the team reviews and collates all materials collected and works them into a master plan. They look closely at code requirements, zoning, budget, time lines for future implementation. The master plan includes a full design and redesign of the corporate, university, civic or governmental campus – from sustainable culture to the green built environment. 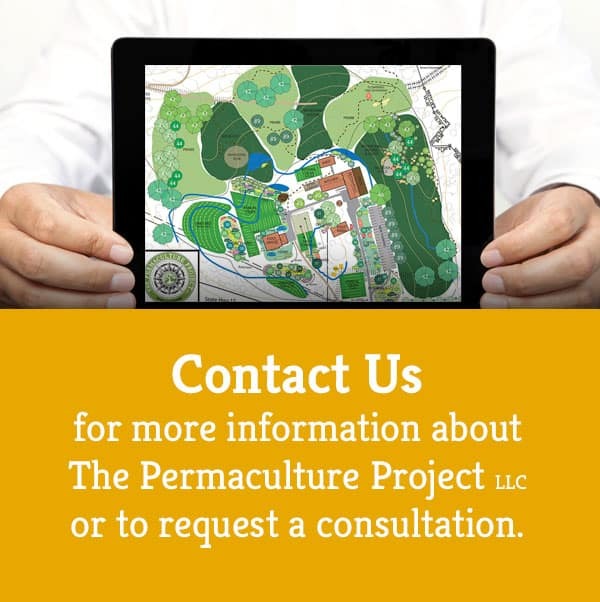 In this final phase, The Permaculture Project helps corporate staff toward implementation: the “final step” in the design process. Architects and engineers create a full set of construction drawings, budgets, and time lines.